Our teacher is Miss Forbes. We are helped by Mrs Butler and Mrs Barlow. This week we've been making model lighthouses and learning about why they are important for ships. Year 1 had a great time dressing up for World Book Day today. We dressed up as characters from all types of books ranging from books by David Walliams to Marie Hedderwick. Some of us also brought in the books that we had come as characters from and we shared these with each other, explaining why we would recommend them. Today in RE we have been looking for signs of Spring and as you can see we found lots!!! With weather like this it feels like it,s here already. What a lovely day to be outside! We have had a great time learning a new dance today, linked to our Topic of Toys. 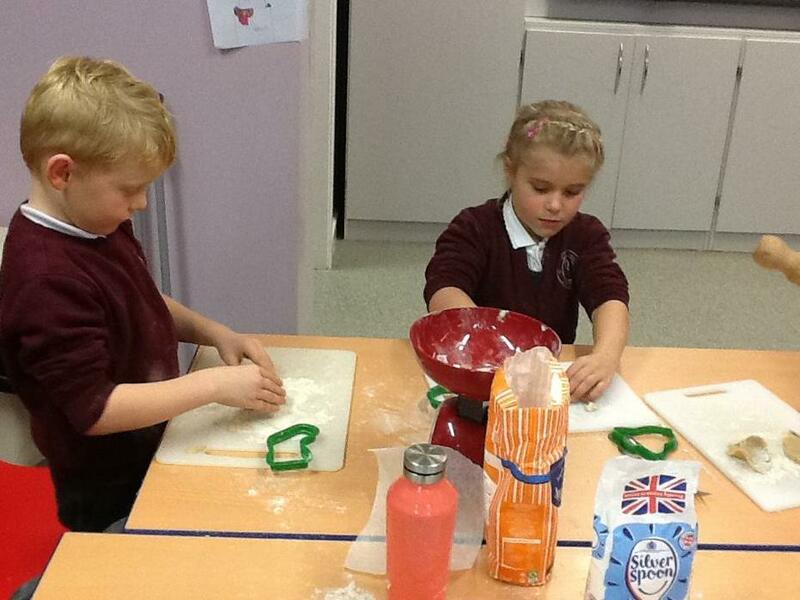 We have been busy baking biscuits for the Christmas Fair today. 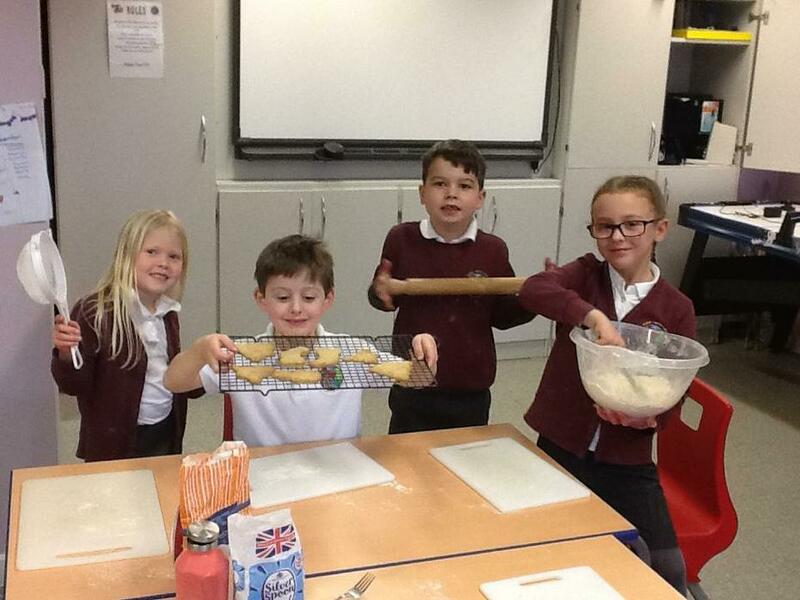 Please come and visit our biscuit decorating stall at the Christmas Fair Friday 28th December - straight after school! Year 1 have had a fantastic time at Judges Lodgings this afternoon! It has been such a lot of fun dressing up in our Victiorian outfits and learning all about the ways that Victorians celebrated Christmas. 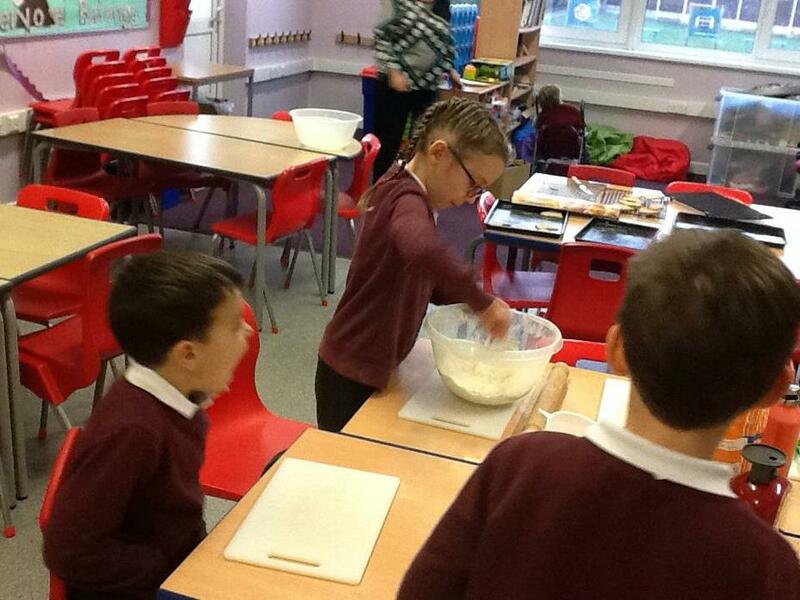 The afternoon began with a visit to the house cook, who taught us how to make Christmas pudding. 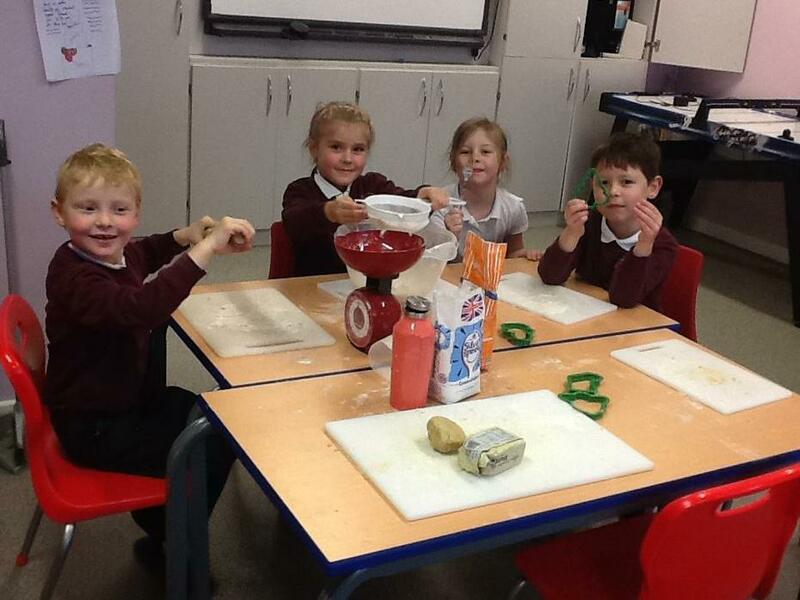 We learnt all about the little trinkets that went into the pudding, and found out what each of them meant. 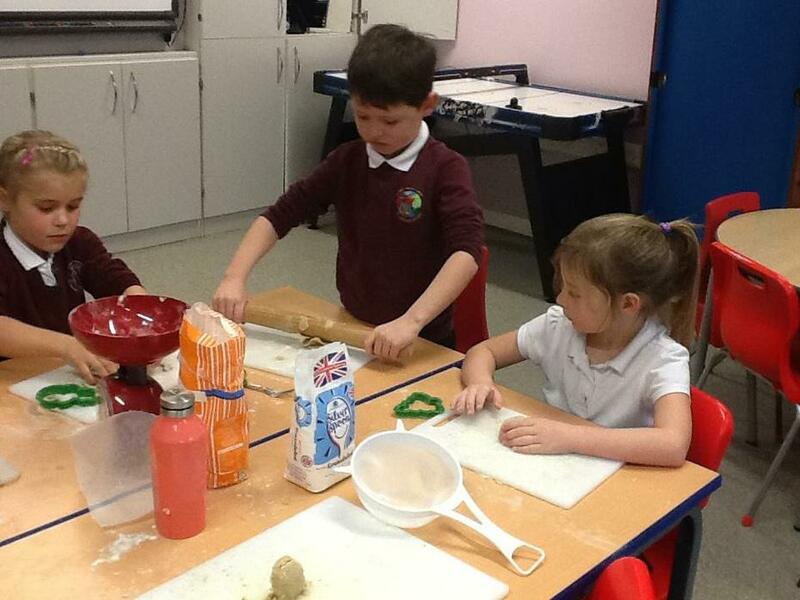 We then stirred the pot three times and made a Christmas wish! Next, we visited a Victorian classroom, where we sat at old wooden desks and copied work from a chalk board. 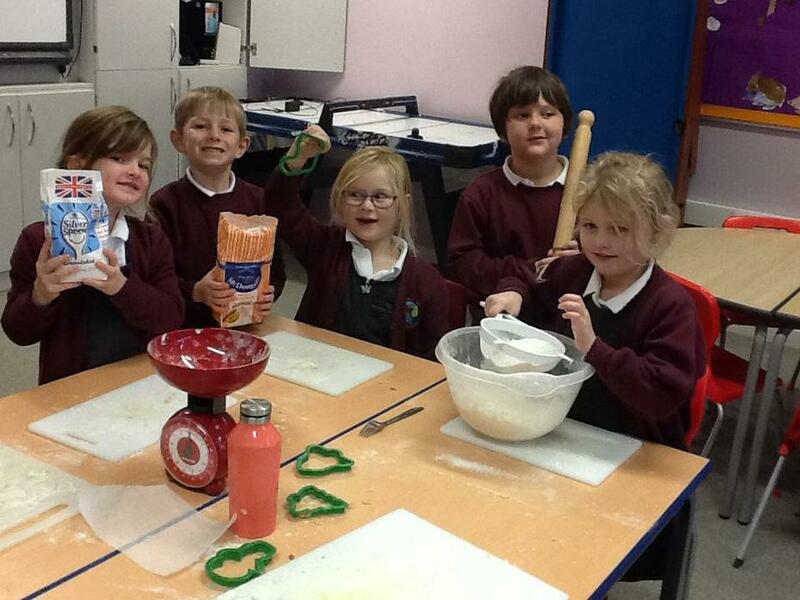 We then made cornucopias, which the Christmas helpers later filled with sweets! Finally, there was a very special surprise - it was Father Christmas! He sat us all down and talked to us about Christmas' he had remembered from long ago and showed us the inside of a Victorian child's stocking. The simple stocking looked just like a big long sock but inside it contained some small gifts. Father Christmas explained that each of the gifts represented a wish. There was a piece of coal, to represent the gift of warmth, an apple, to signify good health, an orange, as little something special, and a penny, offered as a wish of wealth for the year. He then asked what we would like for Christmas and made sure that everything we asked for was added to his list. The afternoon ended with carols around the tree, as we were joined by Father Christmas and all of the people that had made our day so special. This week in Maths we have been measuring using uniform non-standard and standard units.